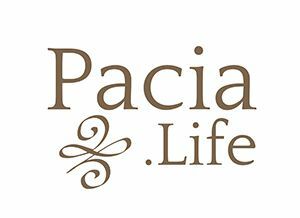 Pacia Life is so excited to celebrate one of our own, Natalie Williams, being inducted into the Women’s Basketball Hall of Fame. “Most of all, Natalie is a dear friend, who is always looking for opportunities to bless and inspire other people,” – Randy Oakley. Below is a reprint from ESPN. Click here to see full article. KNOXVILLE, Tenn. — It was pretty devastating for Natalie Williams in 1996 when she got the bad news that she wouldn’t be going to the Olympics. She was one of the final players cut from the U.S. women’s volleyball team. Four years later, though, Williams did win an Olympic gold medal. But it wasn’t in volleyball. She had moved on to her “other” sport, and basketball was grateful that she did. This weekend, Williams will be honored for her hoops impact as one of the six inductees into the Women’s Basketball Hall of Fame. “She wanted to play volleyball in college, and I told her, ‘You are a better basketball player,'” said her father, Nate Williams, a former NBA player. “But I said, ‘OK, if that’s what you want to do,’ and so she played both sports. The Women’s Basketball Hall of Fame will honor six inductees this weekend, including phenom Jackie Stiles and coach Sherri Coale, whose careers intersected on a very memorable March day in 2001. The 2016 Women’s Basketball Hall of Fame class includes two coaches, two players, one referee and one contributor. Here is a look at the newest members of the Hall. Just how gifted a competitor was Williams? Longtime women’s hoops coach Lin Dunn says Williams might have been the best athlete to ever play for her. That’s easy to believe when you consider that aforementioned scenario. Disappointed by being left off one Olympic team? What the heck: Just make the team in another sport. Doubling up in hoops and volleyball isn’t a rare combo for kids. But most — even back in Williams’ youth — tend to get steered toward one or the other by high school. And certainly by college. Of the few who have done that double collegiately, most have a more dominant sport of the two. In Williams’ case, she was a dual superstar. Hoops, though, became the sport in which Williams made her greatest impact — which is saying something when you consider she was an All-American and two-time NCAA champion in volleyball at UCLA. Once, in 1992, she played in both sports in the same day for the Bruins, taking part in an exhibition hoops game and a regular-season volleyball match. That said, volleyball intrigued her more initially. And the physical requirements of volleyball helped make her a better basketball player, particularly when it came to rebounding. The 6-foot-2 Williams always seemed taller because her vertical leap was so impressive. Williams grew up in Utah and idolized Southern Cal basketball player Cheryl Miller. Williams strongly considered going to USC, too … but then fell in love with UCLA’s campus and the opportunity to play both sports there. 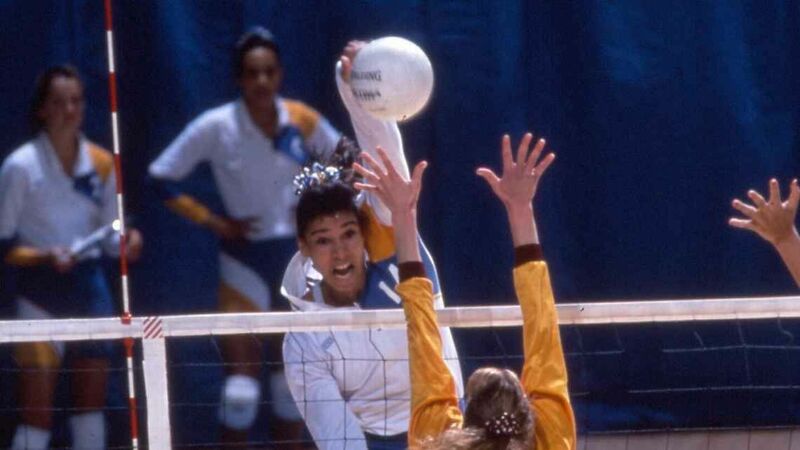 Her Bruins won the 1990 and ’91 NCAA titles in volleyball, and she finished her college eligibility in that sport in 1992, compiling 2,115 kills and 940 digs. Then she had the 1993-94 school year to focus only on basketball, but her season was cut short by an ACL injury. Williams lamented what might have been for the Bruins if she’d been able to stay healthy. Then after rehabbing her knee, she switched course again and returned to volleyball. But after not making the national team in 1996, Williams felt it was time to bid farewell to the sport. Just two years later, Williams was on the senior women’s national team for the world championship. She would also play in the 2000 Olympics and 2002 world championship. She started professionally in the ABL; when it ceased operations, Williams moved to the WNBA. In seven seasons between Utah and Indiana, she averaged 13.1 points and 8.3 rebounds. Williams was then ready to move away from her playing career to raise her children. She now has four, including three daughters — ranging in age from 6 to 15 — who all play basketball. Her son is a hip-hop dancer and is on the debate team. Williams is a club team coach back home in Utah. Yes, she said, it’s hard at times to coach your own kids, but it’s also rewarding. Williams thinks back to Dunn — who coached her in both the ABL and WNBA — and how much she learned. One of her fellow 2016 nominees, referee June Courteau, said the enduring image she has of Williams is the decorum that she always played with.